Edwiser RemUI is a Moodle theme by WisdmLabs that changes the way people use Moodle. It offers beautiful aesthetics and navigation options with a large scope for customizations. 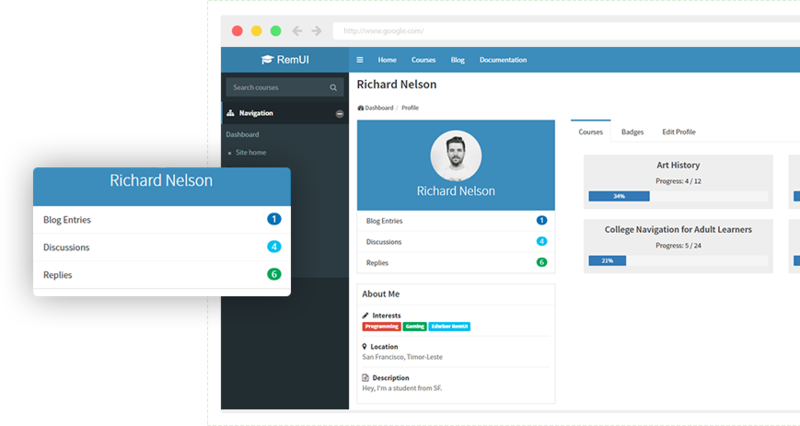 RemUI rises above other Moodle themes because they not only provide a brilliant user experience for the front end, but they also have an amazing user interface for the back-end. Its USP is what sets it above any other Moodle theme. 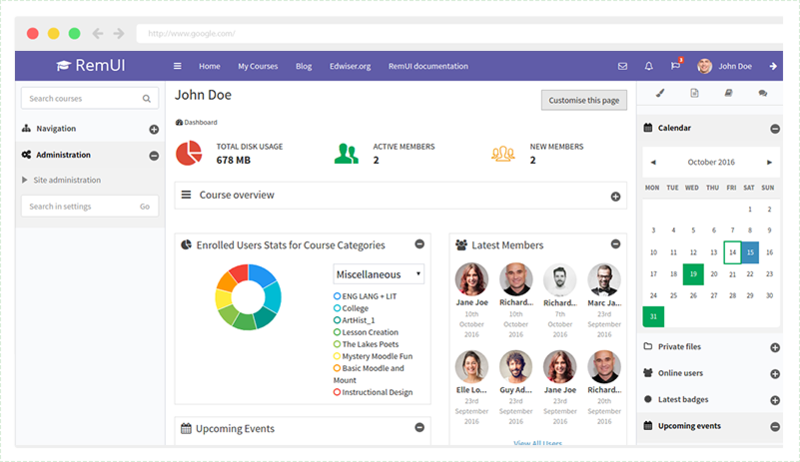 Edwiser RemUI overcomes the age old monochromatic user interface of Moodle and is packed with custom layouts, simplified navigation, dashboard customization options, quick access buttons on the menu and much more. Edwiser RemUI is a UI game changer for Moodle in our opinion. 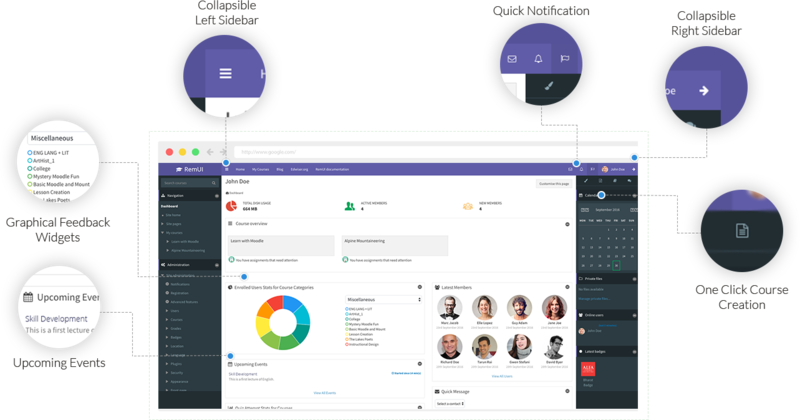 Users who want simplicity and beauty in their LMS should take a look at Edwiser RemUI. This Moodle theme was created to meet the needs of users. Features are easier to find, and users can make adjustments with collapsible sidebar menus, custom page layouts and more. Change colors, add logos and improve your Moodle experience with Edwiser RemUI. It’s easy to become accustomed to something without realizing that there is a better way, especially when it comes to interfaces. Edwiser RemUI has a lot to offer both new and seasoned Moodle users. Applying the theme is simple and can really change the way you navigate for the better. 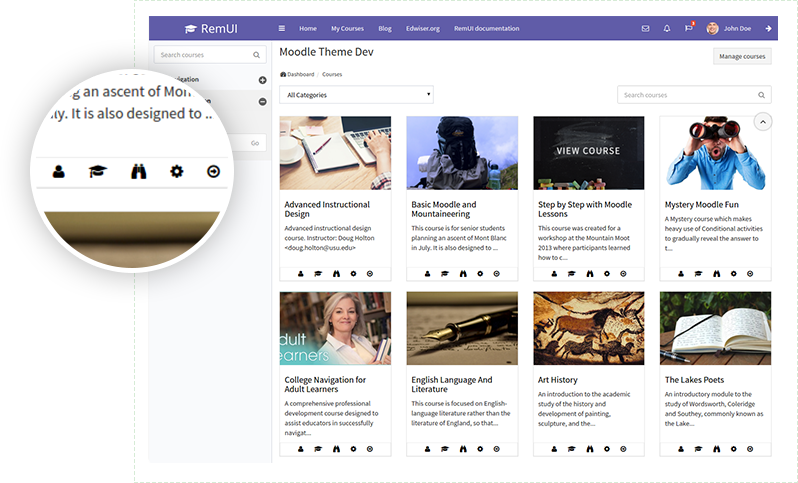 Why should you consider switching to the Edwiser RemUI Moodle theme? Users can access layout customization options when using Edwiser RemUI. 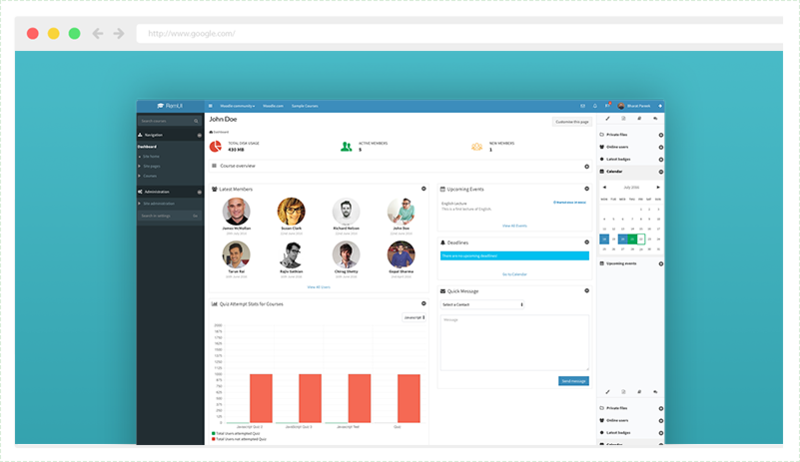 The theme allows the user to design templates in a way that improves productivity. Users can see what they need at a glance without searching through unnecessary text or menus. Edwiser RemUI looks good on both desktop and mobile devices. The theme works well on smaller screens, so the user doesn’t have to change settings or develop a separate plugin to provide mobile access. Functionality is seamless across all devices. 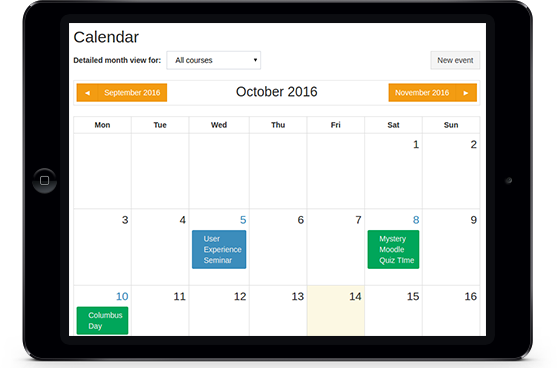 Users can personalize the Moodle experience with Edwiser RemUI. Choose different color settings or upload a logo to add branding to the LMS. This is great news for small businesses who want white label features with open source flexibility. Collapsible sidebars are added to the left and right of the screen while a quick notification tray appears on top. Users can adjust the view accordingly to create a comfortable work environment that’s also accommodating. Graphical widgets can be employed to display information in chart form. 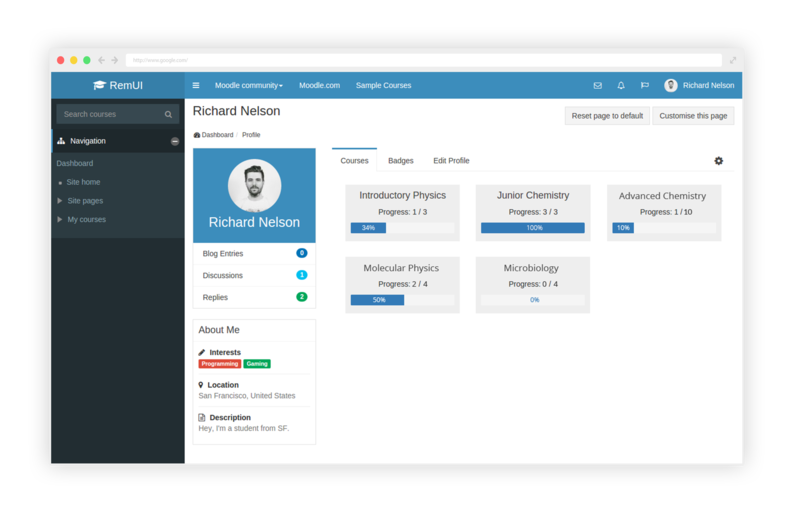 Users can see reports for quizzes, course progress and more. Bright colors make it easier to single out specific data while you work. Along with excellent functionality, Edwiser RemUI also brings elegance to Moodle’s interface. No matter what color the user chooses, the layout and menus are sleek and well-organized. The result is a professional looking eLearning environment that’s user-friendly. Edwiser RemUI increases productivity with simplified navigation. Easy-to-use buttons are provided to complete tasks and access data. Quickly enroll users or view grade reports with just a click. Easily manage learners and tasks with the convenient admin helper bar. Users can access one menu to find content creation, navigation and student tracking tools. Edwiser RemUI provides many ways for all users to save time and still get everything done. Edwiser RemUI includes a course archive page that’s just as functional as it is navigable. Users can view course names with a short overview and a series of quick links under each entry. View reports, enroll learners or check out assignments within the course archive. Do you use Edwiser remUI? – Write a Review!